Today, on 10th July 2018, Indian cricketing legend Sunil Gavaskar becomes 69 years old. 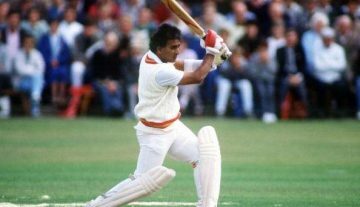 Gavaskar, who was also famously known as the ‘little master’, was one of the greatest batsmen ever in the world cricket. 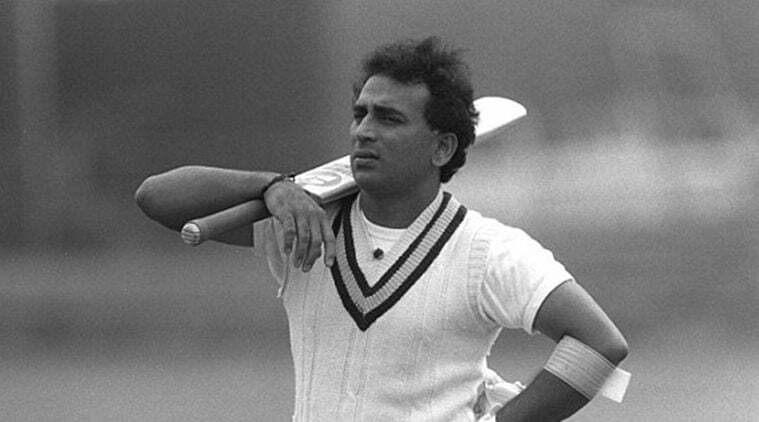 At the age of 21 years old, Gavaskar made his international cricket debut in March 1971 through the Test cricket against West Indies at Port of Spain. He made his ODI debut against England at Leeds on July 13, 1974. The right-handed batsman played 125 Tests where he scored 10,122 runs with an impressive average of 51.12. He scored 34 centuries and 45 half-centuries and his highest Test knock was 236* against West Indies at Chennai in December 1983. Meanwhile, he also played 108 ODIs where he scored 3,092 runs with the average of 35.13. He scored 27 half-centuries and only century (103*) against New Zealand at Nagpur on October 31, 1987. Moreover, Gavaskar also took one wicket in each international cricket format. He led the Indian cricket team in 84 international cricket matches (47 Tests and 37 ODIs). Gavaskar was one of the Indian cricket team members who won the 1983 Cricket World Cup. Gavaskar played his last Test match in March 1987 against Pakistan at Bengaluru. On the other hand, he played his last ODI against England at Mumbai on November 5, 1987. Only second and last Indian batsman to score 50+ runs in both innings of the debutant Test match. Making Test debut against West Indies at Port of Spain in March 1971, Gavaskar scored 65 and 67*. Dilawar Hussain was the first Indian cricketer to score 50+ runs in both innings of the debutant Test match (59 and 57 against England at Kolkata in January 1934). First batsman to score 10,000 runs in any international cricket format. Gavaskar scored 10,122 runs in Test cricket. 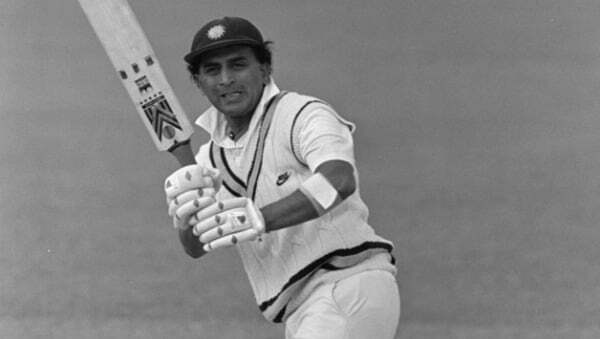 Gavaskar had scored most number of Test centuries as he scored 34 Test centuries. Later in 2005, another Indian cricketing legend Sachin Tendulkar broke that record. Gavaskar is the most runs scorer in a debutant Test series. The right-handed batsman scored 774 runs in his debutant Test series against West Indies in West Indies in 1970/71. First Indian opening batsman to carry bat through a completed Test innings. Gavaskar achieved this feat after remaining unbeaten on 127 runs in the 286-run Indian innings against Pakistan at Faisalabad in January 1983. First Indian fielder (excluding wicketkeeper) to take 100 or more catches in the Test career. Gavaskar finished with 108 Test catches.